Mom & Me: Mermaid University! From 4:00-5:00 PM on the second Friday of every month in 2018! $10 discount if you buy a tail from us! Mom & me Mermaid University for beginning swimmers! Turn two feet into one mermaid tail at Dolphin Swim Club's Mermaid University! 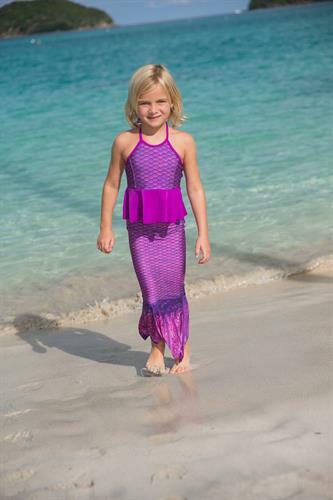 Children will learn to float, twirl, spin, and swim safely while living out their mermaid dreams! Sprites : beginning swimmers ages 4-10 with an adult in water with them. Classes run 1x a month, you can sign up for as many sessions as you like! 1 adult will swim with their child in the Sprite level for free. Mermaid tails are required and are available in our shop. Call for more information (847)854-1300. Sea Maiden level is also available for ages 15 to adult! Perfect for Mom's night out!